Leading electronics companies are trying to make it as easy as possible for their key suppliers to go conflict-free, and it’s time for those companies to take up the offer. 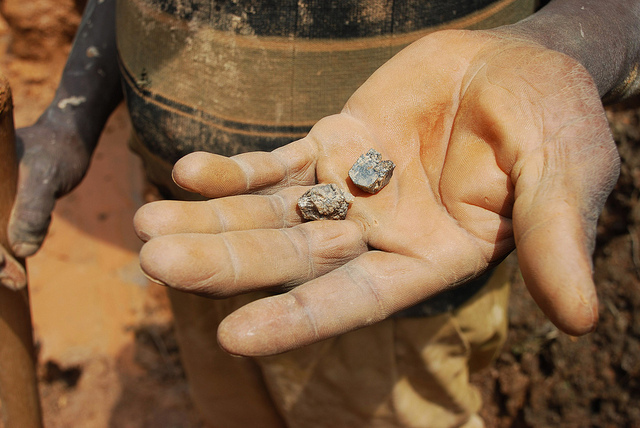 Intel, HP, and the GE Foundation yesterday announced that they have pooled funds in a new incentive program for smelters—the key chokepoint in the conflict minerals supply chain—to get audited to be conflict-free. The Early Adopters Fund, run through the NGO RESOLVE, will pay for smelters and refiners to get audited in the Conflict–Free Smelter Program, or CFS. A key reason the program was put together is that many smelters have dragged their feet on the audits. Tantalum smelters have participated in large numbers in the audits (11 have been audited thus far, which is the majority of the industry), but tin, gold, and tungsten smelters have largely refused to participate, with a few exceptions. Three tin smelters out of around 15 main smelters are being audited now, but virtually no gold and tungsten smelters are participating yet. The financial incentive program now gives these smelters little excuse to move forward. Being audited will likely help the companies comply with the Dodd-Frank law, when it takes effect. CFS is an initiative developed by Electronic Industry Citizenship Coalition, or EICC, and the Global e-Sustainability Initiative, or GeSI, in which an independent third party evaluates how smelters and refiners procure the materials they process and determines whether or not they come from conflict-free sources. The minerals the fund intends to regulate include tantalum, tin, tungsten, and gold from the Democratic Republic of Congo and adjoining countries. The new fund has been labeled the CFS Early-Adopters Fund and will recognize the refiners and smelters that take early action to comply with CFS program protocols by subsidizing their transition or start-up costs imposed by accommodations to pass the first-year audit requirements. Each smelter and refiner acknowledged by the fund will be incentivized one-half the cost of the first successful audit, up to $5,000. RESOLVE’s Solution Network will manage the program and the allocation of funds, but it will be incorporated into EICC and GeSI’s Extractives Workgroup and the CFS programs process, a significant factor that will expand and facilitate other companies’ contribution to the fund. The collaboration of RESOLVE, EICC, GeSI, Intel, HP, and the GE Foundation is part of a growing effort towards building capacity to monitor and regulate the supply chain of electronics and end the usage of conflict minerals. Through financial incentives, the CFS Early-Adopters Program aims to encourage more smelters to voluntarily participate in the CFS program, subject themselves to reviews, and become certified as conflict-free. Currently, tin smelters are the most active in the CFS program with 45 compliant companies and 38 more on hold. There are an additional 21 tantalum smelters and 22 gold smelters participating but only five tungsten smelting companies, a lag that must be addressed. The number of smelters that have passed first round audits, however, is drastically lower. There have only been 11 smelters to pass, and they are all for tantalum. Tin, tungsten, and especially gold audit protocols need to be tightened in order for these smelters to catch up. Financial support from the CFS Early-Adopters Fund will help enable this necessary step. In addition to the CFS Program, EICC and GeSI have developed the Conflict Minerals Reporting Template, which assists smelters’ due diligence initiatives by providing them with a collection of tools that facilitate tracking the sources of the materials they process. By minimizing the barriers—some financial, some logistical—that inhibit smelters from verifying that the material they are processing are coming from conflict-free sources, the partners behind the CFS Early-Adopters Fund are catalyzing the reform of the electronics supply chain. In approximately one year, RESOLVE will be inviting stakeholders to review the program, assess accomplishments, and devise steps forward. There is optimism that by then more smelters will be in compliance with EICC and GESI protocols and the use of conflict minerals will be reduced.